Aggression in the family pet is a very serious issue. Sharing your home with an aggressive dog is a liability that puts your family and your finances at risk. 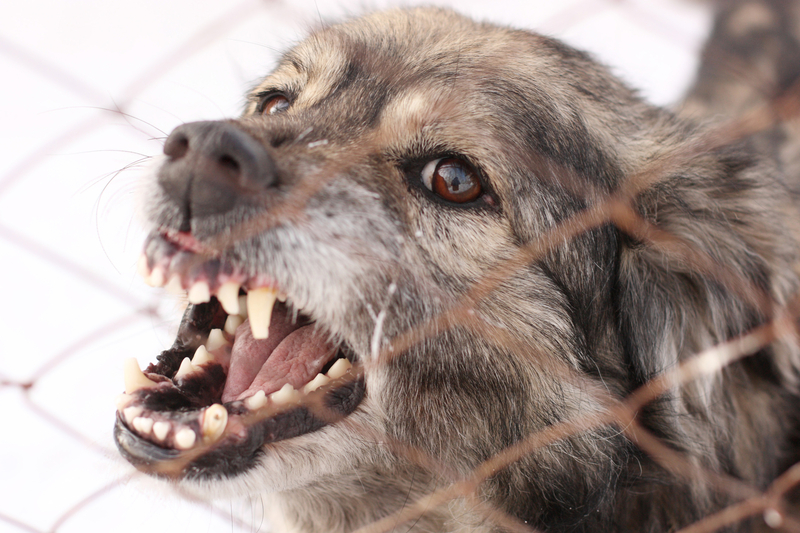 Pet parents may have a hard time admitting that their dog has an aggression problem. Inappropriate behaviors are often marginalized, especially in smaller breeds. Poorly defined behavioral boundaries that lead to confusion on the dog’s part can easily lead to aggression. In addition, a lack of experience or knowledge on the part of the dog parent can lead to missing or ignoring warning signs from the dog. Aggression arises for a number of reasons; individual temperament, personal experience as well as genetics all factor in. Fear is also a strong motivator in dog bites. The good news is aggression can be redirected and greatly reduced or even eliminated. The bad news is – it’s not easy. It takes a serious commitment to a slow and deliberate process. Were you hoping to find a way to make them stop online? Frankly, no. You need to find a trainer to work with you one-on-one. If your dog has bitten you or someone else you need professional help. Re-training a dog that is already biting is beyond the scope of simply reading something on the Internet. An excellent resource to help you find a trainer is the Association of Professional Dog Trainers (apdt.com). When dog attacks make it to the news, what do you typically hear the owner say? “I would have never expected my dog to do this!” Or, “this came out of nowhere!” Typically followed by statements about how loving, how gentle and sweet their dog is, and that this behavior is completely atypical for the family pet. No. Just no. The owner may not have seen it, but the dog’s aggression was the result of a recognizable set of escalating behaviors. Animals will always tell you their intentions. Always. Do you know what your dog is saying? It is far better to stop aggressive behavior before it starts. This applies to every dog, from the most massive mastiff to the tiniest chihuahua. As a dog parent it is your responsibility to recognize early aggressive tendencies and redirect them. To be able to do this, you must be able to read your dog. Not just the basics – tail wag = happy, growl = angry. A dog’s communication goes much deeper than this. You can become fluent in Dog Talk! But you must take the time to observe and understand what your dog is saying when his ears do this, or his eyes do that. You can have that kind of understanding and bond with your dog. The one that looks like magic to outsiders. Bonus – if you work on developing this bond early you will avoid many unhappy behavioral problems. I teach you how to develop this bond, to deepen your communication, in my book, Dog Care and Training for the GENIUS. If you follow this link and use the coupon code: dct-ftg at checkout, the publisher will give you an additional 15% off the purchase. Make sure the coupon code is all lowercase when you enter it. Dogs are our companions, our friends, and we ask much of them at times. Help make your friend’s life rich and happy by taking the time to understand his or her needs. Your dog will is talking to you. Are you listening?